How to Convert Word 2003 to PDF? How to Convert Doc to PDF? 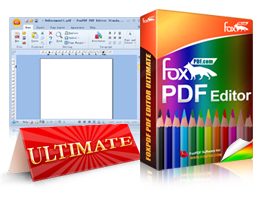 FoxPDF PDF Editor can edit not only PDF and Word documents, but also able to convert Word 2003 (Doc) to a PDF file as shown below, this hope for your help.